Listen to it as it was preached at Tri-Lakes United Methodist Church HERE. As you come to this Christmas Eve, maybe that’s how you’re feeling. While others are striding toward the manger singing, “O come let us adore him,” you’re stumbling. While you’re trying, really trying, to be festive and join the celebration, there is this darkness you cannot shake. A grief, a pain, a worry, a regret. It might be something new – as you go through Christmas for the first time without someone by your side. Or it may be an old grief, one you thought you had dealt with, which, for some inexplicable reason, has come to the fore again this Christmas season. Or maybe for you it is simply a sense of anxiety over what may happen in the year ahead with your job, your children, or whatever fills your mind with worry. Try as you might to go all in on the celebration of Christmas, you are just not feeling it, at least not completely. 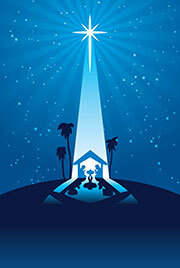 This year, and maybe for the tenth year in a row, you are stumbling to Bethlehem. The good news of the gospel is, that’s OK. But I also get it doesn’t feel OK. It doesn’t feel right. 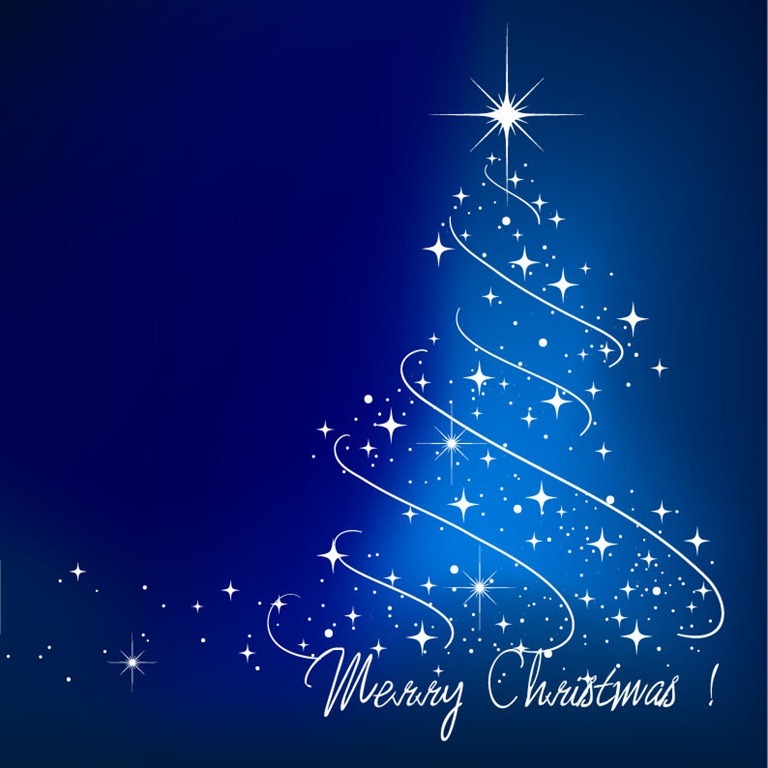 This is the season to be merry, to be jolly, to sing and shop and party and be with people. Some of us feel disconnected from all of that, even though we don’t talk about it much, for fear of raining on someone else’s parade. Or maybe for fear of encountering someone like the street preacher in the song who might say something frustrating. I was so sensitive about myself and the world that I cried or shriveled up at the slightest hurt. People always told me, “You’ve got to get a thicker skin,” like now they might say, jovially, “Let go and let God.” Believe me, if I could, I would, and in the meantime I feel like stabbing you in the forehead (Lamott 16f). Christmas songs, cards, and sentimentality they come with, often offer similar “Let go and let God,” bumper sticker theology which is seldom helpful and often irritating, if not downright hurtful. Knowing they’re out there, we choose instead to keep it to ourselves. Which, as a bonus, may keep us from wanting to stab anyone in the forehead. When we read the Christmas story though, we realize how the people of God were stumbling to Bethlehem for centuries. From the prophet Isaiah’s words we read earlier, addressed to the people of Israel some 700 years before Jesus’ birth, telling them they have suffered more than their fair share (Isaiah 40:2). To the psalmist who writes about feeling forgotten by God, fearful God has turned his back on him and his people (Psalm 13). From Mary and Joseph, an unmarried young couple making the long journey from Nazareth to Bethlehem while Mary is 9 months pregnant. To the shepherds, a group considered religiously unclean, coming down off the hill to the manger after the visit from the angel. All stumbling to Bethlehem. And Jesus’ ministry with the stumbling doesn’t stop there. He strengthens the legs who cannot walk – the literally stumbling, gives sight to those who cannot see. He feeds those who are hungry and offers living water to a woman beside a well. He welcomes those who feel they don’t belong, and comforts those who are grieving. He does not call the people who have it all together, but is instead followed by a ragtag band of ordinary folks with their own struggles. For me, this is what Christmas is all about. This is why Jesus is born in Bethlehem rather than Jerusalem, where the Wise Men go first, assuming that’s where to find him. This is why Jesus is born in a stable rather than the house. This is why the angels go to the shepherds rather than the religious elite. The Christmas story reveals that Jesus has come for people just like us. Those who are sometimes ready to celebrate, but who are also sometimes broken, hurting, and stumbling. For those who have been trying to “Let go and let God,” but haven’t quite figured that out yet. For those who know they ought to commit their deceased loved one to God, but are saddened and missing him or her. For those who have heard that God is the parent of the parentless, but who are really missing mom or dad this year. For those who have heard Jesus is all we need, but are wondering how things are going to be if their job is eliminated. For those who know that Jesus walks with them, but who grieve a broken relationship, or the marriage they long for which hasn’t happened for them yet. For those, who in the midst of struggle continue to seek God, to find hope in him, and well, who keep stumbling to Bethlehem. I wandered into this bi-racial church across the highway from where I lived… The only reason I went in…was because it was across the street from a flea market and I was there a lot of Sunday mornings… I would hear this gospel singing…so I’d wander in because I’d run out of good ideas. And no one at my church hassled me… They didn’t try to get me to sign on the dotted line… They just let me sit there, and um, they just let me sit there (chuckle). And the air was nutritious (Miller Storyline Blog). 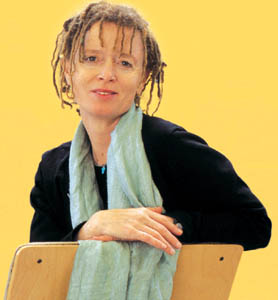 Anne Lamott stumbled into a church one Sunday and found Jesus there. Just showing up, sitting there, and inhaling the nutritious air, eventually changed her life. She began to notice this faith wasn’t just for the people already at the church who seemed to have it all together. It was even for people like her who struggle with alcohol and drugs. And for people like you and me, who have run out of good ideas, and are struggling to heal. 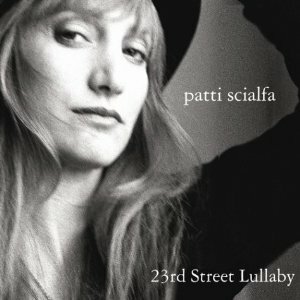 Unfortunately, Patti Scialfa’s song doesn’t offer a lot of hope. In the end she is still groping in the dark, still listening to the voices telling her she is not good enough, still struggling on her own to feel better about herself, about her situation. Christmas offers us a better story. Stumbling or not, when we arrive in Bethlehem we learn this child is called Emmanuel, “God is with us.” The baby lying in the manger, is the very presence of God breaking into our world, offering us a hope we couldn’t previously know. This child will grow and tell us he came to give us life, a rich and abundant life (John 10:10). Christmas is the story of God coming to meet us. Here in the mess of the stable, in the mess of our lives. He comes to us – sinful, hurting, messed up, worried, broken – widowed, divorced, alone, frightened – stumbling through life, completely out of good ideas, and feeling like stabbing someone in the forehead. God came to you, here, now. Stumbling or not, you’re here, and so is Jesus. That is what Christmas is all about. Lamott, Anne. 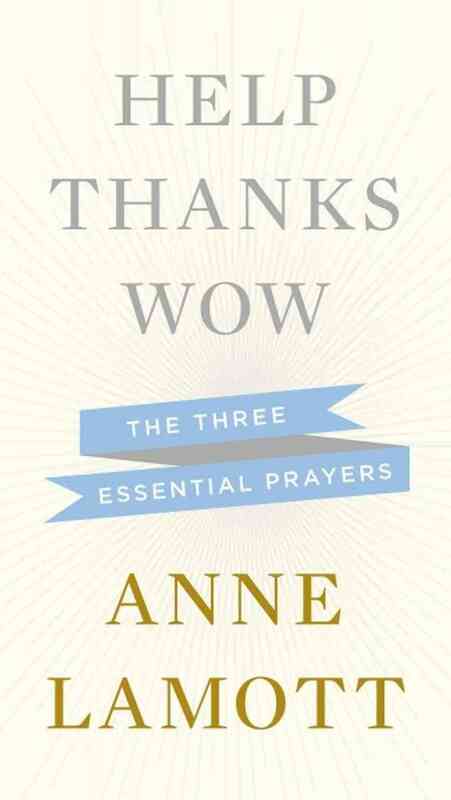 Help, Thanks, Wow: The Three Essential Prayers. New York: Riverhead, 2012. Miller, Donald. 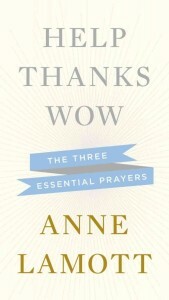 “Sunday Morning Sermon – Anne Lamott, Taking Jesus to Places the Church Can’t Go.” Storyline Blog. Storyline, 24 Nov. 2013. Web. 21 Dec. 2013.